Your CHARM IT! 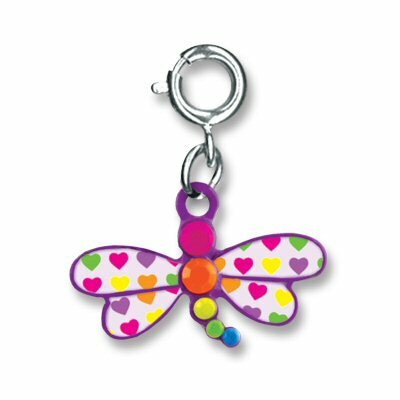 girl will love adding this beautiful Rainbow Dragonfly charm to her collection of charms! With a colorful body and white wings covered in a rainbow of colorful hearts, this CHARM IT! dragonfly charm makes it easy to add your own splash of personality to charm jewelry of all kinds with the simple snap of a clasp. Our Jelly Bugs wall decals feature ladybugs, dragonflies, bumblebees, and butterflies for a whimsical room makeover. This customizable Mini Dragonfly fabric wall art is a wonderful addition to any flower, bug, or landscape inspired room.